Investors wanting to have their say about the Government’s planned changes to the rules around ring-fencing losses on rental properties need to get in quick. Inland Revenue Department (IRD) released an issues paper on proposed changes, which aim to level the playing field between investors and home buyers, at the end of March. But the deadline for submissions on the proposal has come round fast and those wanting to give feedback have to do so by the end of this week. 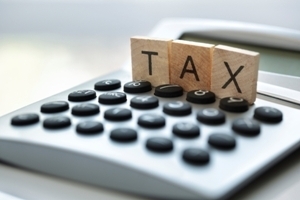 Revenue Minister Stuart Nash says the proposed changes would make the tax system fairer by ensuring that investors could not offset their losses on some property investments against their other income. But the NZ Property Investors Federation believes it is wrong to assume that because the mortgage interest costs of rental property buyers are tax deductible, they have an advantage over home buyers. NZPIF executive officer Andrew King says that home owners get to live in their property while rental property providers get rental income on which they pay tax. As with any investment, expenses like mortgage interest are taken away from the gross rental income and tax is paid on the balance, he says. “In contrast, home owners do not have any income from their property and therefore cannot claim any tax deductions, which means the two situations are completely different. King says ring-fencing rental property losses will simply make it harder for people to provide rental homes for tenants and will lead to more landlords leaving the market. “It will put the industry into a lose-lose situation. If rental prices don't increase to compensate then the rental supply shortages we are experiencing will accelerate. The public is being encouraged to make submissions on the proposal to IRD before the deadline of Friday May 11.